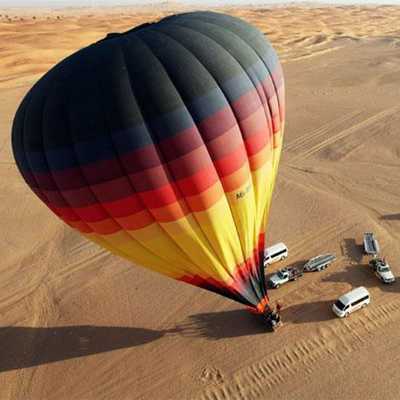 Have you experience Dubai aerial view in the open air view from the basket over the sky. 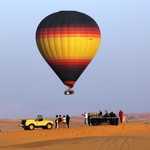 The hot-air balloon is the answer, Hot-air balloon rides over the vast desert providing views of sand dunes, oasis, camels & mountains. Enjoy up to 45-minutes of hot air balloon ride floating across the dunes. A sun-filled day will be ideal for viewing Dubai in all its glory. You can experience and capture the sunrise raising with sparkling light which will leave you unspoken and will fill your memories with that sparkling light. 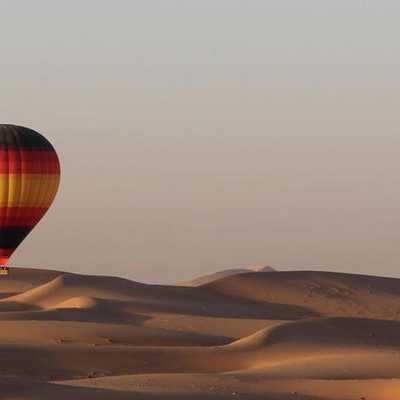 Early morning Pick up is done from different locations within Dubai, Upon arrival into the desert sight you can refresh the drive with refreshments like tea, coffee, and water, where you enjoy 1 Hour of complete Hot air balloon ride with safety instruction from the experienced pilot. Enjoy the hot air filling into the balloon prior to taking off. As you take off, feel the smooth unknown factor of flying into the sky, Enjoy the flight clicking memorable picture for stay alive in your memories for a lifetime. Once you are landed, Your transfers is ready to drop you back to your location. Your balloon takes off from a desert oasis located north of Al Ain. It is about an hour’s drive from Dubai. It is a remote area that is truly in the heart of the desert which gives you the bst view of desert. Bookings can be made through our website and prices include pick up/drop off. The online payment system is available for your convenience and activities are suitable for all ages. Cancellation charges are applicable and seating is based on availability. All vehicles are properly insured as safety is our main priority.